Heather Falconer, Editor in Chief of Spindle Magazine is synonymous for her quirky and fun sense of style. Her love for fashion was sparked early on, during her childhood when she spent countless hours dressing up, making things and putting on mini fashion shows with her friends. It was this creativity mixed with the spark for journalism, which she inherited from her parents, that enabled her to become a real life magazine editor. Spindle Magazine was born out of a final major project, completed by Heather whilst she was studying at university. After graduation, many creatives took interest in the publication, wanting to use it as a platform for getting noticed within the wider world. It was at this moment that Heather thought Spindle Magazine could provide a much needed platform for emerging talent in the South East of England (outside of London). "I found that for such a creative city, there was no outlet to show the creative talent. 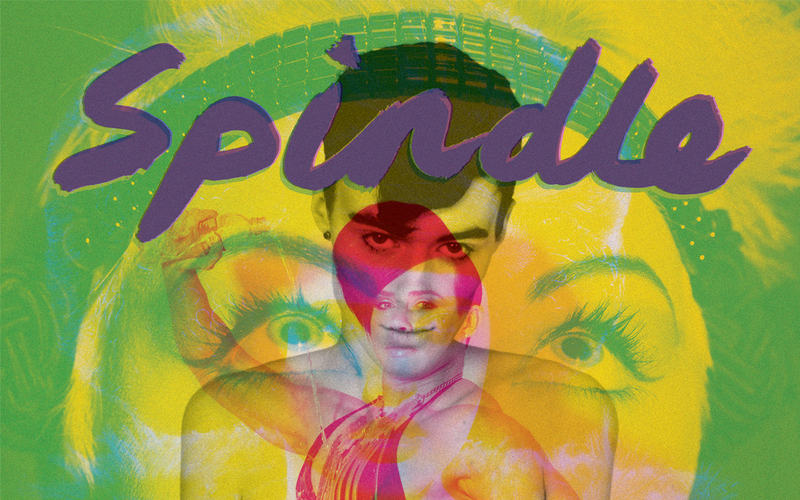 Now Spindle has expanded outside of Brighton" exclaims Heather, going on to mention that a core member of her team is based in Canada, working and providing content for the magazine from there. Spindle has already gone global! Do you think your time spent in London and Brighton has shaped your personal style? Oh gosh, I guess so. I’ve got quite an 80s/grungy style, I’m drawn to bright colours, interesting prints. I wear a lot of American Apparel and mostly vintage, I’ve just come back from LA – the thrift stores there were amazing! I'm just making the move to London, at the moment whenever I'm there it’s for back to back meetings or running around for a shoot! There’s a great Turkish restaurant on Stoke Newington Road called Tava. My friends introduced me to their Lambachum (Turkish pizza) and I've been addicted ever since! I think the biggest highlight(s) and also challenges have to be the Spindle launch parties,they offer a chance to get the readers, contributors and Spindle team all together. Another highlight dates back to when the first Spindle magazine was printed-seeing the issue for the first time is a very special feeling. I'm moving from Brighton to London this week. I’m looking at into different publishing projects, and I’ll continue styling. I plan to continue building brand awareness of Spindle, issue 6 will be launched in June, and we’ve also been made media partner for this years Free Range arts festival, which is very exciting. What advice would you give to an aspiring magazine editor? Stay focused and spend time building up a contact database of people you can work with – PRs, photographers, stylists, illustrators and writers. Keep on top of trends and what’s happening in the news, as this will influence your content. I’d suggest doing various internships at both independent and larger magazines. Fab interview, I really enjoyed this! There's a new post up on my blog and I'd love to hear what you think of it, so feel free to stop by!